NKM – Life moves pretty fast. 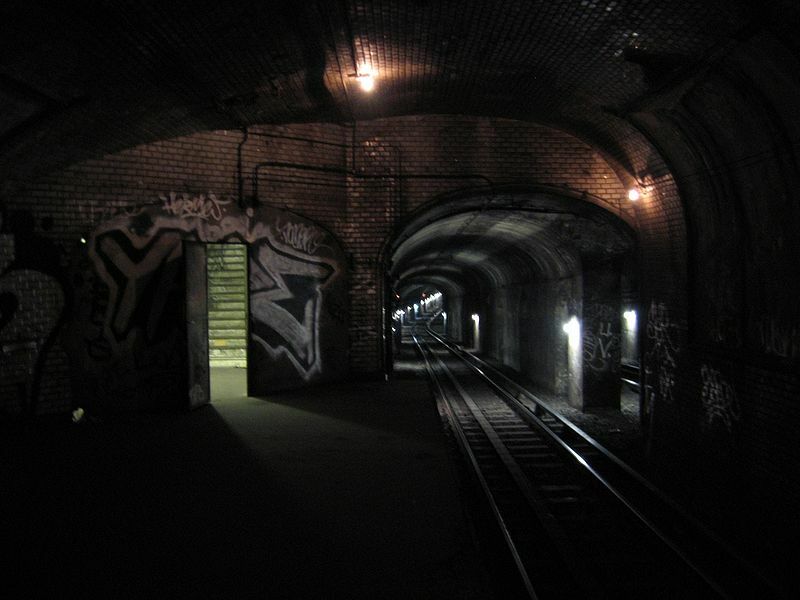 Life after death for the Paris Métro ghost stations? The Paris Métro, opened in 1900, extends over more than 200 kilometers of track, serving more than 300 individual stops. But there are 11 more stations that, though once built, now stand nearly abandoned. Many of these “ghost” or “phantom” stations shuttered after the occupation during WWII. Two of them, Porte Molitor and Haxo, never opened at all. Parisian mayoral candidate Nathalie Kosciusko-Morizet has a bold plan for these phantom stations. The center-right candidate, known as NKM to her supporters, has argued that these abandoned spaces should be reclaimed for the city’s residents. To envision what these future public spaces could look like, NKM teamed up with architect Manal Rachdi and urban planner Nicolas Laisné. They drew up a few crazy-looking renderings to get started, starting with Arsenal, a 4th arrondissement station closed since 1939. She has pledged to solicit more inventive ideas if elected (though her opponent, Socialist Anne Hidalgo, is the frontrunner).